With fussy eating at an all-time high, a new study has revealed that mums’ biggest daily challenge could actually be dinner time. The results show that Aussie parents are increasingly frustrated with food battles. And desperate enough to try ‘just about anything’ to get their little ones eating. Over 90% of parents confessed to feeling stressed, anxious or emotionally drained at mealtimes. 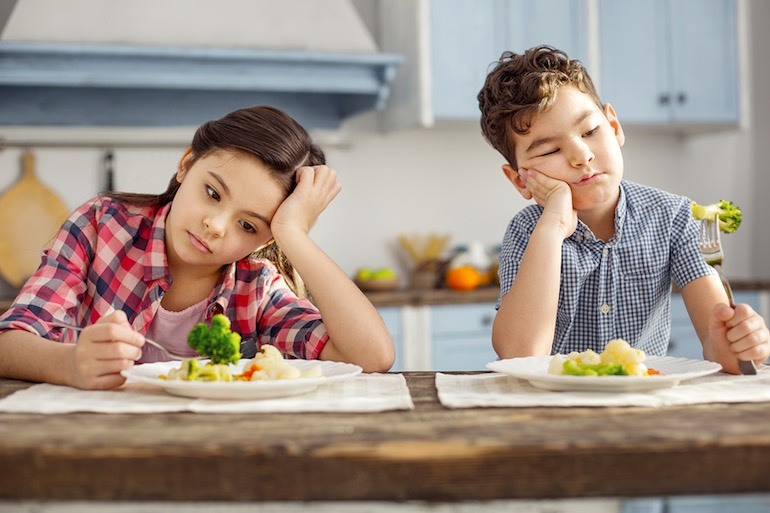 Aside from the dinner table frustrations, 86% of mums cited their greatest concern is that their children are not consuming what they need nutritionally on a daily basis. According to Paediatric Dietician, Kate Di Prima, fussy eating is at the highest level she has experienced in her 25-year career. The survey results are astounding. 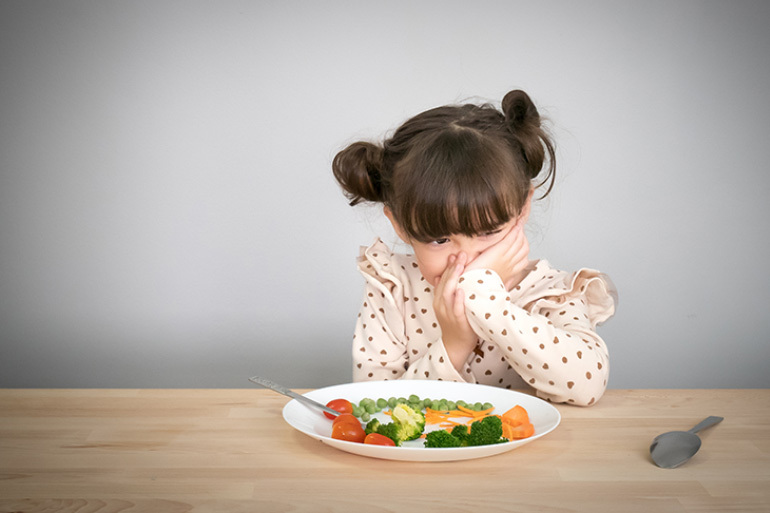 Increasingly parents are reporting their exasperation and anxiety around their children’s fussy eating habits but I was shocked to see the sheer number of fussy eaters over age four and the profound impact this is having on the children and their families. If you’ve a fussy eater in your house, whilst you may be on your last chicken nugget-making nerve, there’s definitely comfort in knowing that you’re not alone. As the saying goes, extreme situations call for unprecedented actions – and family meal times seem to be making us all a little crazy. 87% of parents feel as though the most worrying part of having a fussy eater is that they are not meeting their nutritional needs and not eating from each food group accordingly. 86% of parents feel worried their child is not meeting their recommended daily intake of nutrients. 60% of parents are worried that their child’s diet is nutritionally inadequate. HELP. What can mums of fussy eaters do? If you’re read this far, you’re more than likely the parent of a very fussy eater. You’ve likely tried every trick in the book and are almost at your wit’s end at meal times. More than 60% of the parents in the survey responded that they had turned to nutritional supplements to help their child to meet their daily nutritional needs. For children that aren’t eating enough of the ‘good stuff’ this is a great way to assist them while you wait for them to grow out of their fussiness. Worried mums should can out a shake that has been specifically designed for the nutritional requirements of a growing child. It should include high quality protein, vitamins, minerals, Iomega-3 fatty acids from flaxseeds and probiotics to support children’s healthy growth and development. While parents of fussy eaters can hope that their child will outgrow this stage, a supplement is a great way to manage the situation until they do. This addition to your child’s diet can take the stress out of meal times and ensure peace of mind that your child is getting what they need nutritionally. 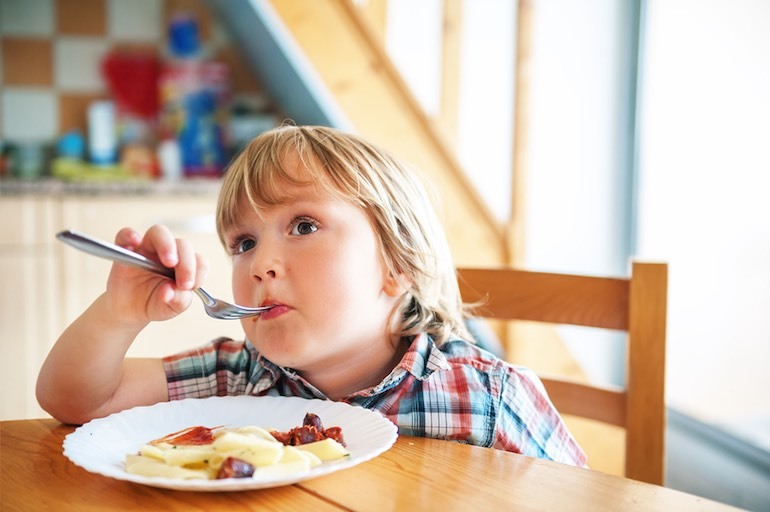 When it comes to fussy eaters, parents can reduce some of the immediate stress and worry that they have about dietary inadequacies by filling those nutritional gaps with a well-balanced food supplement. This can be a smart solution if you’re finding your children are being resistant to key food groups. – Di Prima, Paediatric Dietician. If you’re one of the 63% of parents who has sought a dietary supplement for your fussy eater, don’t feel that you’ve lost the battle. You are in fact actually winning! Your child may grow out of their fussy food aversions. Like many other things with kids this could just be a stage! Whether it is (yay!) or whether it continues far longer than you’d hoped for, knowing that a supplement is stepping in nutritionally, is peace of mind. What shake should I choose for my fussy eater? At Mum Central, we love the IsoWhey® Clinical Nutrition Kids Complete. It’s a yummy chocolate or vanilla shake that even the fussiest of eaters will be happy to try! KIDS COMPLETE is specifically designed to support the nutritional needs of children who have inadequate energy and nutrient intake. It can be consumed as a delicious shake, with high quality protein, vitamins, minerals and probiotics to support children’s healthy growth and development. 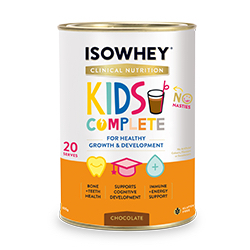 IsoWhey® Clinical Nutrition Kids Complete also contains omega-3 fatty acids from flaxseeds. BONE + TEETH HEALTH:Calcium, vitamin D and magnesium contribute to healthy bone development. SUPPORTS COGNITIVE DEVELOPMENT:Vitamin C, vitamin B12 and iodine contribute to normal neurological function and development. NERVOUS SYSTEM SUPPORT:Vitamins B2, B6 and magnesium contribute to normal nervous system function. IMMUNE + ENERGY SUPPORT:Vitamins C, B6, B12 and zinc contribute to a normal immune system and energy production. Contains flaxseed which is a source of the essential fatty acid alpha-linolenic acid. As well as lignans, high quality protein, soluble fiber and phenolic compounds. This is a sponsored post for IsoWhey. Results are from the Mum Central Fussy Eaters Survey. February 2019. Sample size 1,200 mums re the dietary and eating habits of 4yo+ fussy eaters. How Do I Choose the Best Childcare for My Little One?